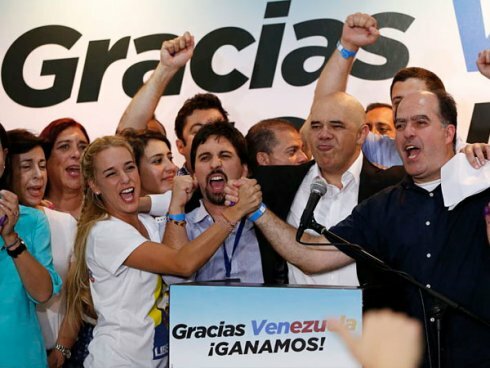 On Tuesday night, after a dragged-out process, the conclusive results of Venezuela’s December 6 midterm elections (6D) were posted by the electoral body: the opposition won a two-third super-majority in the National Assembly, overturning Chavism’s previously uncontested rule. The events in Venezuela herald a rightward shift that parallels processes occurring in other Latin American countries. Editor’s note: At the time the original article was published, the final results of the elections had not been announced. According to official data published thus far, the legislative electoral results give a conclusive triumph for the right opposition. The MUD (Mesa de Unidad Democrática) has taken 99 of the 167 seats that were in dispute. Chavism obtained only 46 seats, with 22 still in question, with which the opposition would conquer a three-fifths majority—including a two-thirds super-majority in the National Assembly—thereby doubling its forces. After 16 years of Chavist hegemony, this electoral defeat is a heavy political blow for Venezuelan President Nicolás Maduro and the ruling party, opening a new phase in the economic and political crisis that mark the decline of Chavism. In the coming weeks, it will be seen how the government and opposition settle into the National Assembly’s new composition and its opposition majority; it should be recalled that the institutions of the Bolivarian Republic reserve broad powers for the presidency, in keeping with the regime’s strongly bonapartiste characteristics. Maduro’s political debilitation, divisions within the ruling party and the erosion of its social base—processes paralleled by the development of opposition’s own internal divisions—give way to a stage of uncertainty in which a significant factor to consider will be the position taken by the influential Armed Forces. Comrades from our sister organization in Venezuela, the Workers’ League for Socialism , shared their preliminary analysis of the situation here . 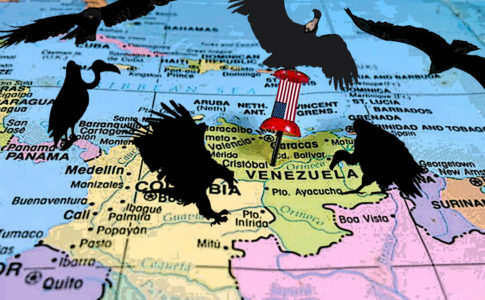 It has become obvious that the sequelae of the December 6 elections (#6D) represent not only a point of inflection in Venezuela’s situation, but also an influential factor in the landscape of Latin America. 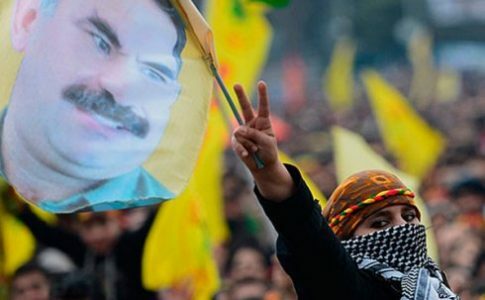 Imperialism and the region’s right wing greeted the opposition’s triumph with open arms. In this context, two strategic variants have emerged, suggesting ways to exploit the opposition’s legislative victory: an approach postulated by Henrique Capriles (who declared, “We don’t want a war”) and those of the “renovated” right, who are putting pressure on Maduro and seek agreements with certain sectors of Chavism toward a “gradual transition”; and the more confrontational line championed by the followers of Leopoldo López, Corina Machado, etc. It is possible to observe these elements in a quick review of the international press the morning of December 7. In the United States, The Washington Post writes, “Some argue that an opposition win could accelerate calls for Maduro’s impeachment before the end of his term in 2019.” The New York Times adds, “The victory significantly alters the political balance in this deeply divided country and augurs a power struggle between the long-marginalized opposition and the government of President Nicolás Maduro.” The article goes on to cite opposition leader Enrique Ramos (“We are entering a period of transition”) and his prediction that “Mr. 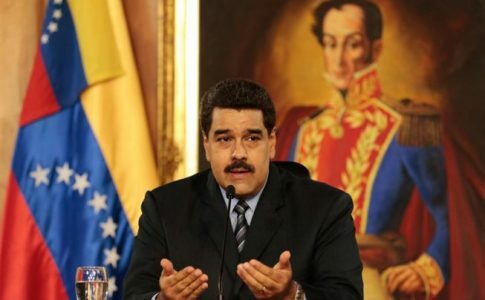 Maduro would not reach the end of his term [and] would be removed by ‘constitutional means,’ such as a recall referendum, a change to the Constitution, or by being forced to resign”–a plausible hypothesis for Washington. As a counterpart, China, an important commercial associate and political ally of the Maduro government, declared by way of the Ministry of Foreign Affairs that it was hopeful that Venezula’s “stability and national development will continue” and reaffirmed its disposition to continue working “to consolidate our tradition of friendship and expand our cooperation in commerce and other areas,” reflecting the strategy of multiple international alliances to counterbalance imperialism. Latin American governments have responded with caution. The Venezuelan situation is one of the central foci of dispute in the region in the contest between progressivism in retreat and the “new right” making efforts to consolidate its advances, emboldened by Mauricio Macri’s presidential victory in Argentina and the breakdown of Dilma’s government in Brazil alongside the start of the impeachment process . The more recalcitrant sectors of the right wing, including figures like Vargas Llosa and ex-presidents of dubious democratic credentials like Bolivia’s neoliberal “Tuto” Quiroga and Spain’s Felipe González among others, fought for the opposition and tried in vain to influence the Organization of American States (OAS). They were blocked by the majority of the countries in South America. Dilma’s government, which seems to prefer a “moderate equilibrium” in Caracas, has rejected the newly elected Argentine president Macri’s pretensions to suspend Venezuela from MERCOSUR until Leopoldo López and other right-wing leaders with prison sentences have been liberated. Declarations from Susana Malcorra, current U.N. Chef de Cabinet (and incoming Argentine Foreign Minister) following the victory of the MUD in the Venezuelan elections seem to moderate this line, admitting that “there are no reasons to apply democratic clause in Venezuela.” This does not mean Macri’s politics won’t pressure and isolate Venezuela, in harmony with its line of rapprochement and “fluid relations” with the United States. The success of the Venezuelan right is clearly fueling the continent’s reaction. The Brasilian crisis, Macri’s win, and the results of 6D are expressions of an important change in the realm of South American politics. The relatively hegemonic “progressivism” of the last 15 years is disintegrating . The reactionary swerve in the region during 2015, has been marked by Obama’s announcement of a “new dialogue” at the Panama Summit, the “thaw with Cuba” derived in new channels for U.S. interference in the process of capitalist restoration on the island, the “peace process” in Colombia that advances the guerrilla’s “negotiated surrender,” the adoption of Dilma’s austerity program that is giving way to a process of impeachment against her, and finally, the center-right “takeover” in Argentina. The Latin American progressive governments themselves have protagonized and nurtured the rightward turn. 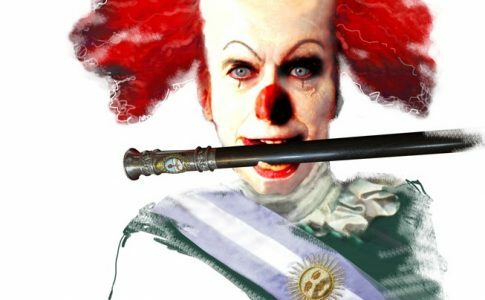 The path of CFK’s government in Argentina and her recent backing of center-right Scioli—a failed succession plan—prepared the way for Macri’s rise. Dilma’s anti-populist measures and her agreements with obscurantist sectors of Brazilian politics emboldened the advance of the right. In Venezuela, Maduro’s regime has demoralized and demobilized wide swathes of the working class and poor, nourishing the terrain for the opposition. It is no coincidence that the new right can disguise itself behind claims of “change.” The right’s conquests are fueled by over a decade of nationalist and progressive “populist” governments that failed to create any “real democracy.” Nor did they carry out the promised “development and industrialization,” reclaim “sovereignty” for the people, or construct a new politically and economically unified “Patria grande”. On the contrary, in the context of high revenues garnered by the period of high prices for raw materials these regimes amplified the export-oriented, extractive characteristics of the economy. They placed their bets on relationships with trans-nationals, protected banks, corporations and landowners, and continued to pay off the imperialistic external debt. In sum, the progressive governments have functioned as self-contained projects of “progressive administration” of the “actually existing” Latin American dependent capitalism. With that, they have preserved the economic and social power of the ruling classes and generated the conditions that allow them to have a government with staff of their own. Economic growth in South America has reached its limits as the impact of the international crisis has arrived at center-stage, and with it, the exhaustion of any possibility to sustain the simultaneous containment of poverty (through public social programs) and the onward march of capitalist enterprise. To this is linked the decline (or “end of the cycle”) of Kirchnerism, PTism, and Chavism, with their distinct rhythms and particularities. Tied to the narrow limits of their reformism and class-character, they have devolved into crisis administrators. They either adopted direct austerity measures in keeping with the demands of capital, or maintained inflationary politics that eroded the living conditions of the workers and the poor, criminalizing strikes and popular protests. It is still to be seen whether the bourgeoisie will succeed in transforming the right’s political victories into a new relation of class forces in order to implement its reactionary project; its efforts to advance attacks on the working class may result in a further polarization of society and ultimately, collision with a reinvigorated popular and working-class resistance. Unlike the 1990s, the conservative advance today faces popular sectors and a working class that has accumulated strength and maintains aspirations of everything but a docile submission to imperialism and the right wing’s commands, much less the “progressive” austerity measures. With this horizon, the political preparation of the working-class and popular resistance must equip itself with a new program in order for the expulsion of imperialism and to force the rich to pay for the crisis. But these movements must also move forward with a clear balance sheet of the “post-neoliberal” experiences and demarcate themselves from the politics of Kirchnerism, Chavism, Evo Morales, Correa, the Brazilian Workers’ Party (PT), and Uruguay’s Broad Front (FA). The support of the progressive “lesser evil” is a complicit veiling of the perverse machinery of which reactionary forces benefit, thanks to the “good” officials of progressivism–whether in government positions or collaborating in the “governability” from the opposition. The Latin American socialist left and working class are now faced with new challenges, presented by the reactionary surge, increasing polarization, and possibly greater intensity in the class struggle. With these challenges come strategic tasks to be carried out with the perspective that the continent’s working class can lead the fight against capitalist austerity and imperialism.